Karl Trewhela was born in Dublin to a South African father and an Irish mother. The youngest of five children and brought up in the South East of England, Karl drew from a very early age. Taken to wildlife parks as a young boy, drawing animals, nature has always been and continues to be a tremendous influence. He received his BA Honors in Illustration & Visual Communication at Middlesex University, however, self-taught on the whole, using life and the great pen masters of the past as his teachers. 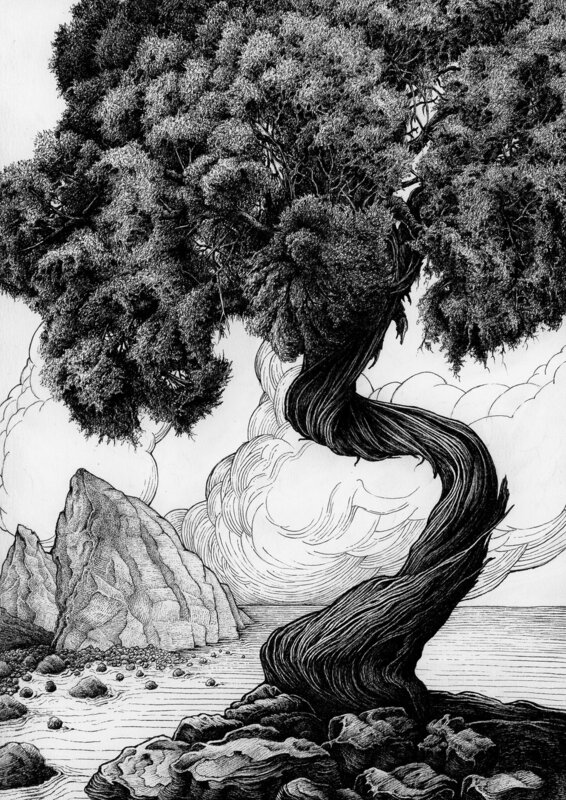 Forever fascinated with the detail, delicacy and emotional power of traditional drawing and in particular ink work, Karl uses the finest pen points within a dreamy landscape. A visceral, therapeutic and meditative journey exploring feelings, balance and the absurdity of life. Exhibited in London and Seattle.